This page is for Backpacker, Travellers and Working Holiday Visa holders looking for casual work in South Australia it's not for employers. If you are a traveller or a backpacker looking for casual work whilst travelling around South Australia and you have the correct working visa for Australia then you can register your details on our website for companies to see. 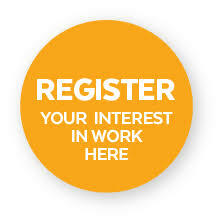 If this is your first time to our website and you are looking for casual work around South Australia you will need to register, fill in the 2nd form below and this will give you access so you can post your details on our website`s database. For access, we do have to charge you an admin fee of Aus$11.00 for 12mts access. If you register this will allow you to add your details and update them for 12mts and we will put you on our database in front of employers looking for casual workers. If this is your first time to the casual worker`s section you will need to fill in the form below and this will give you access so you can post your details on our website`s secure zone.